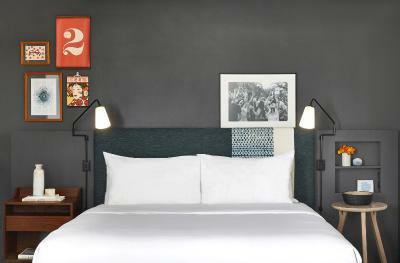 Lock in a great price for Hotel Kabuki, a Joie de Vivre Hotel – rated 8.5 by recent guests! Convenient location for Japantown activities--we attended Cherry Blossom Festival events. Pleasant, comfortable accommodations, and nicely landscaped garden areas. Great beds, comfortabel rooms and nice staff. Location in Japan town is nice as long as you have a car. Probably not a great spot if you are a family and have to rely on public transportation. Rooms were very clean, very nice breakfast (not a lot of choice but all no e and fresh options. We loved that our toddler got these nice gifts at breakfast. Live music in the lobby in the evening and to close with what stood out (as mentioned before) really great beds. We slept like babies. Loved the whole atmosphere of the bar and lobby. The gardens and koi pond are so relaxing and well kept. Our room was really comfortable, clean, and charming. The breakfast was fresh and healthy with delicious coffee as well! The location is great in Japan town and the lobby and downstairs area is very hip and nice. 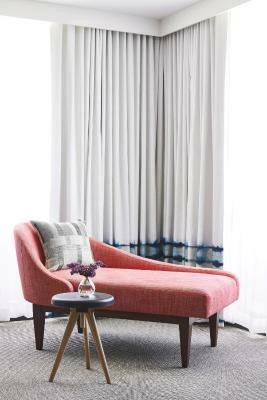 Rooms are nothing special, small bland, no effort in decor. Beautiful downstairs lounge with light food and bar service. 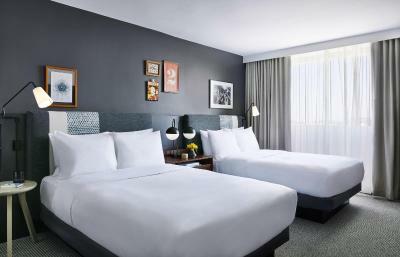 Rooms exceedingly large for San Francisco and very very comfortable! My view was wonderful. Next to a Japanese mall full of shops and food. Korean BBQ all you can eat across the street. 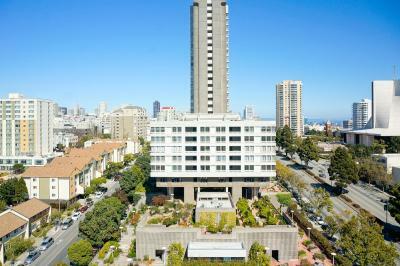 The room was larger than most in San Francisco and extra amenities like gym, zen garden and free bike use. We enjoyed the convenience of the hotel linked to a mall where there are a lot of restaurants, shops and Japanese dollar stores. The location was good, well, better than Hilton Union Square, which I reserved earlier. After I reached HUS I found the whole square was full of homeless. No offense, but definitely not a comfortable place for me to stay. So I drove around that area and found KABUKi. Not an economy hotel, but definitely located in a safer neighborhood. 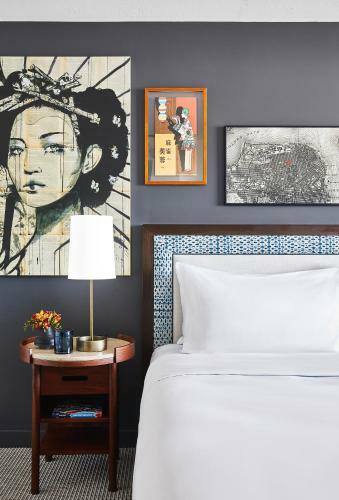 Hotel Kabuki, a Joie de Vivre Hotel This rating is a reflection of how the property compares to the industry standard when it comes to price, facilities and services available. It's based on a self-evaluation by the property. Use this rating to help choose your stay! 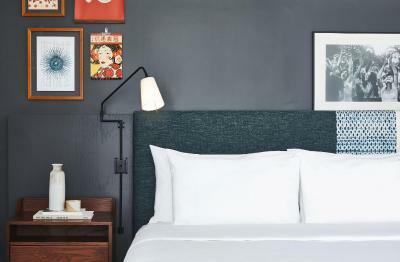 Located in San Francisco’s Japantown, this elegant hotel is connected to the Nihonmachi Mall and blends Eastern and Western design. It features on-site dining and an indoor garden with a fishpond. Free WiFi is available at the property. 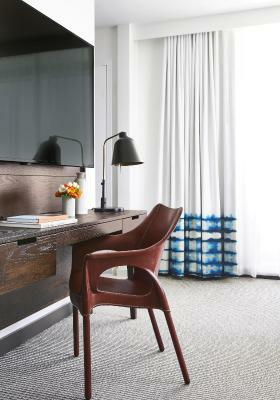 Blending traditional Japanese style decor with modern amenities, rooms at Hotel Kabuki, a Joie de Vivre Hotel offer a flat-screen Smart HDTV with streaming apps, a spacious bathroom with a walk-in shower, guest robes and boutique bath amenities. 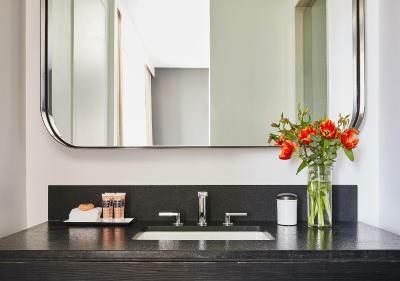 A mini-refrigerator and a coffee machine are also provided in all guest rooms. The Bar at Hotel Kabuki features Japanese whisky, sake and beer, as well as an assortment of international-inspired light snacks. The bar offers a Monday through Friday Happy Hour. The on-site fitness center with state-of-the-art equipment is open 24 hours a day. Valet parking, laundry services and free newspapers are available. Shops and cafes in San Francisco's Union Square are a 10-minute bus ride from Hotel Kabuki, a Joie de Vivre Hotel. 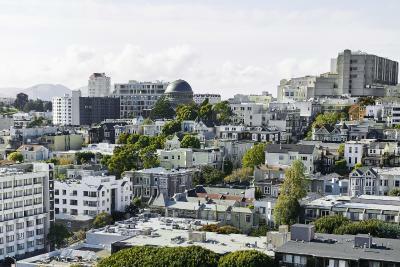 San Francisco's Chinatown is 2 miles from the property. 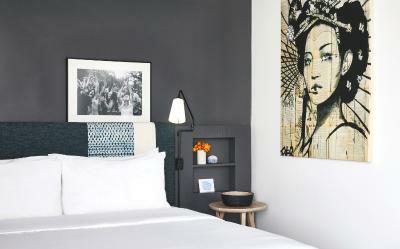 When would you like to stay at Hotel Kabuki, a Joie de Vivre Hotel? Blending traditional Japanese style decor with modern amenities, this room features free WiFi and a flat-screen LCD TV with HD channels. Blending traditional Japanese style decor with modern amenities, this room features free WiFi and a flat-screen Smart HDTV with streaming apps. 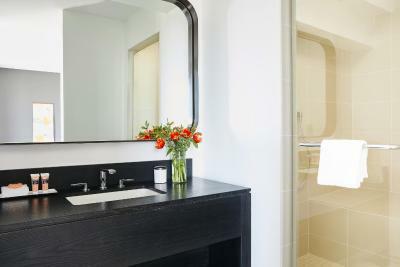 Room includes a walk-in shower, guest robes and boutique bath amenities. 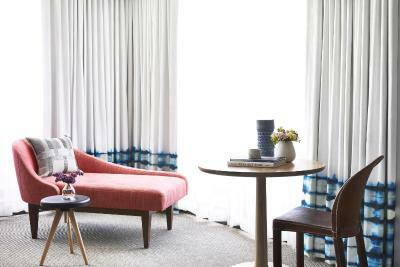 These spacious corner rooms offer a separate seating area and sliding glass doors that open to a wrap-around balcony with views of San Francisco. 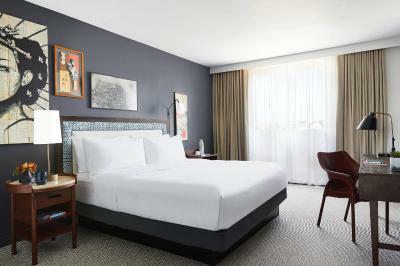 Rooms feature a flat-screen Smart HDTV with streaming apps, a walk-in shower, guest robes and boutique bath amenities. 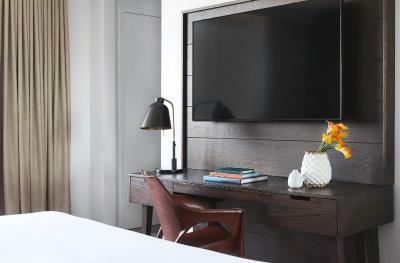 Showcasing a city view, this room features free WiFi and a flat-screen Smart HDTV with streaming apps. 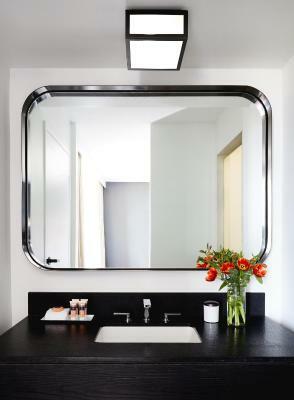 Room includes a walk-in shower, guest robes and boutique bath amenities. Blending traditional Japanese style decor with modern amenities, this disability access room features free WiFi and a flat-screen Smart HDTV with streaming apps. 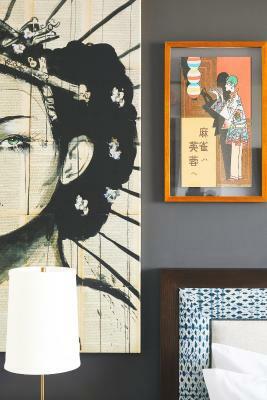 House Rules Hotel Kabuki, a Joie de Vivre Hotel takes special requests – add in the next step! Hotel Kabuki, a Joie de Vivre Hotel accepts these cards and reserves the right to temporarily hold an amount prior to arrival. Valet parking at the property is limited and is subject to availability. 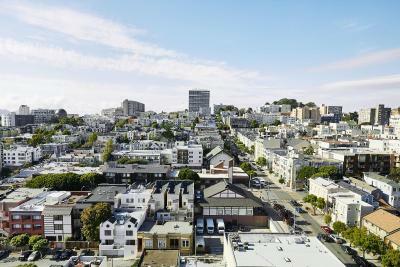 Self-parking for a fee is available in the Japantown parking garage with direct access to the hotel. 1. Did not like the "guest amenity" fees that were in addition to the cost of accommodations. 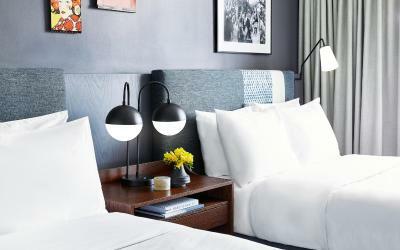 At most hotels, use of wi-fi and gym are included in the cost of the hotel stay. Since the basic cost at this hotel is already high, it should include those services. 2. There were sharp protrusions from the edge of the carpet where it met the bathroom floor at the doorway. This may be material used to attach the carpet to the floor. It caused snagging of the fibers on our socks, and could cause injury to bare feet. 3. There was no gift shop or convenience store on site, although there were stores nearby. 4. Hotel description stated airport shuttle was available. However, when I called the hotel to make arrangements, I was informed that we were to contact private Super Shuttle company, since the hotel did not provide shuttle services but would assist with making arrangements. The extra fees were disappointing. The lack of wardrobe space in the rooms, one small rail and no drawers etc made hanging clothes difficult for both me and my partner. We both ended up living out of our suitcases which is never easy! The rooms were lovely, clean and very spacious! The staff were amazing and the hotel itself was super cool and the bar area always busy and fun! The location was perfect, 10 mins by bus from Union Sq or literally an 8 min uber! Japan centre is linked to the hotel and has so many cool Asian food places / shops! Great neighbourhood! Extra $50 charge for local taxes. Wasn’t expecting it but that was my fault for not reading the fine print on the booking.com invoice. Bed was comfy, shower was huge and included two shower heads and a built-in bench and the corner balcony was a bonus! The atmosphere casual and friendly. The common areas inviting. Staff great. Liked having japan town centre next door. Good location for our sightseeing. The hotel tricks people by adding in "services fees" You think you got a good deal on this hotel but the add ons are crazy. We paid $57 for parking, $37 - automatic charge- for wifi and access to a water spicket in the lobby (no water bottles provided). I travel a ton and have never seen this-- it felt deceptive. Being that it was San Francisco the price was a little steep but I felt that it was worth what I spent. 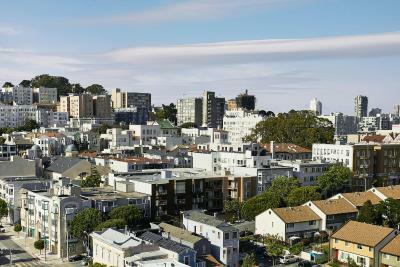 Will visit there again next time I’m in San Francisco. comfy bed Like the clean white sheets Lobby fun Good access from street with turn around parking area Books are welcoming Fitness room very nice Great views from our corner room!! On check-in, we were surprised by a mandatory $27 fee for amenities! Filtered water was only available in the lobby and we only used the WiFi. An abusive practice by the hotel.